So whether you want to increase how many Empties you have at the end of each month because you have a lot of products to get through like I did, or you need to use up a lot of stuff before it expires or because you want to clear out some precious space for more products, I’ve compiled this list of 10 things that helped me use up over 300 products last year. Some of these are physical things you can do while others are a change in how you think and view products. You can employ some of these or all of these and I really hope they will help my fellow beauty junkies and product hoarders to gain a new found love for using and finishing up lots and lots of products. The most obvious thing to do is to get those already opened products out and use them up. It doesn’t take as long to finish up something that’s already halfway done. Most of the things I used up last year I had already opened and used somewhat which made it easier to race through them. I still have a few things to get through before my entire skincare and body care collection is sealed stuff and I can’t wait. It’s so much more pleasurable to me now to open a new moisturiser knowing it’s the only one that will be open and not have to worry about using it alongside another 5 that I’m also rotating. This isn’t for everybody because I know so many people love rotating their skincare products daily. For me, this only works with body, hair and skincare. Not with makeup. I like using different makeup products all the time. But I’ve found sticking to the same few body, hair and skin products every day most useful for helping me finish up products. When I was chopping and changing my routines and products, I was just making a small dent in lots of products. Sticking to the same few is the only way to ensure I end up using things up. Another really easy way I used up so many things is by actually using products. I mean all the time. I am constantly using something or another throughout the day. I just love products, packaging, the feel of them, applying them, sniffing them...haha! I can’t seem to pass my dresser without a pump or swatch or reapplication of something or another. I am truly obsessed. Which means I’m using products and getting through things more constantly too. Just live and breathe products and constantly use them; there’s no way you won’t be finishing up tonnes and tonnes of products. And I don’t mean to be wasteful. I mean don’t scrimp on a product for fear it will come to an end. e.g. That facial oil/serum that cost a bomb - don’t use 3 drops every fortnight to savour it. Use a whole pipette full every couple of nights. So what if it comes to an end? At least then you’re using enough of the product to get the kind of results you’d like to see from such a pleasant or precious product. Scrimping is just silly. You paid for it, so enjoy it properly even if it means the product will be used up quicker. Stop saving products for that fictitious special occasion. Even when the special occasions do roll around, we tend to have put it so far out of reach to preserve it, that we often forget to use it anyway. Every day we live and breathe is a special occasion. We don’t know when it will all be over. Don’t save that Chanel for a worthy occasion. Your everyday life is a worthy occasion. Celebrate every day with the good things you paid to celebrate your life with. What do I mean by telling you to stop buying more products?!? How dare I? I simply say that if you want to get through lots of products in your current collection, it only makes sense not to keep growing that collection. Because when you have a new product, it can be very tempting to open it up straight away to try it. So what results is another product open being used and detracting from an older product that needs to be finished up. This is one I'm still struggling with. I’ve learnt that treasuring products isn’t by using them a couple of times, falling in love with them and then putting them into storage and adoring them from afar. Truly savouring a product comes by using that product for what it is actually for. Enjoying the product by using it is far better than hoarding that product, even if it means you end up finishing it. I’d much rather use something and be able to say I loved every drop of it than constantly proclaim that I have every product in my collection even though I don’t use them enough. It will come back to you. Savouring luxury products or even budget products that we truly enjoy has very little benefit except satisfying us with knowing we have it in our stash. If you truly love something, use it. And if you truly truly love it, you will make it your mission to repurchase it. Chances are by the time it’s finished, you’ll have found something else you love and might even like it better than that initial product you were holding onto so dearly. If not, then at least then you definitely know its time to get that thing back in your life. 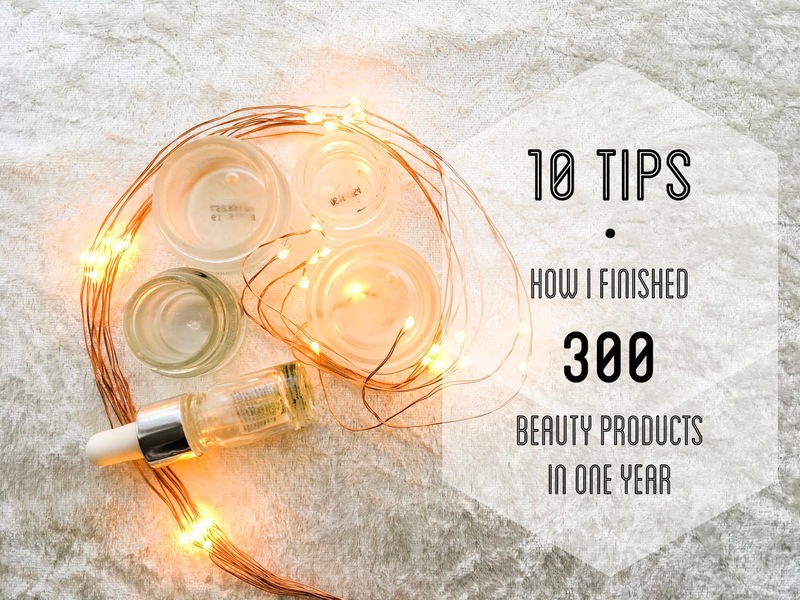 This is one of the best tips I learnt from Binita when I asked her what to do with products I don’t enjoy using and she told me never to waste product. If you don’t like a face cream or you find a serum too useless or sticky, use them up on your legs. That way you’re not wasting anything and your legs will be grateful for that extra attention. I do this with so many things now that I was once hoarding despite not being a fan and it’s meant I’ve used up so many things that would’ve just sat there taking up space while I hated on them. Or forced myself to use them while hating the very thought of it. Finally, a very simple thing to do is to share your products. Once I started sharing my skincare and body care with my husband and children, the products would finish faster. If there’s something you like or even don’t like, share samples with others if you think they might like it or they might like to try it. That way you’re not left with a whole product as a burden to use up alone. And it’s actually so much nicer when you discover the whole family enjoys something altogether.